Always enjoy playing for wedding parties as Samlesbury Hall, fab wedding venue! 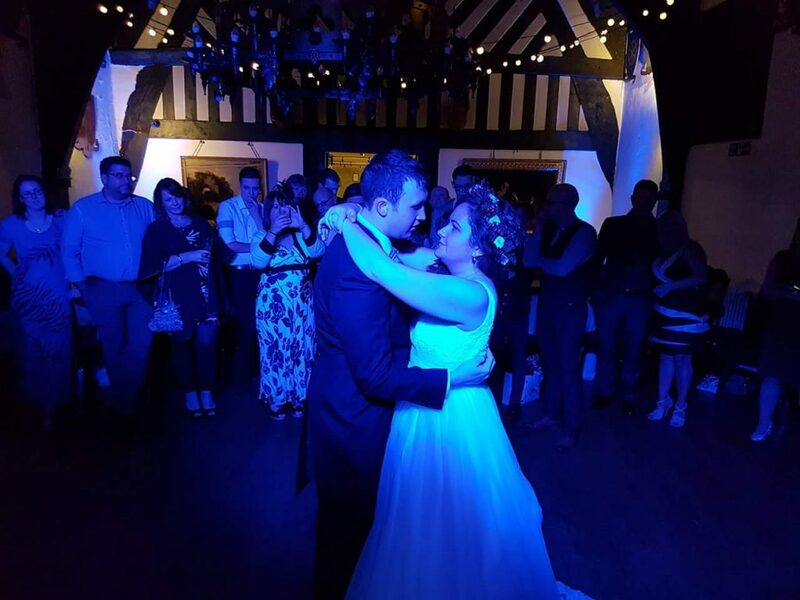 On this occasion, James & Stacey had booked wedding DJ Andy B along with 10 up lights for around the room as finishing touches. Congratulations Mr & Mrs Court-Martin! They bring a modern sound & light show. Carry a comprehensive selection of music & will be able to cater for most requests on the night, which is something they’ll encourage. Beforehand, we’d put you in touch with each other so that you can go through specific requests for the evening such as your first dance. At this point, you could, if you so wish, prepare a whole set list, which he’ll be happy to work from as required. You can have as much pre event communication as required to ensure we get it just right on the night. As well as the disco, he will also act as the host for the evening – helping with the smooth running of the night, making any announcements etc. His dress code is normally suit & tie as appropriate the occasion. He’s there all night & will fit in with how you want your evening to run. But if you do want any suggestions for timings etc, you can discuss it with the DJ. Having played at Samlesbury Hall on countless occasions also helps as our DJs know the venue well & where to set up etc.